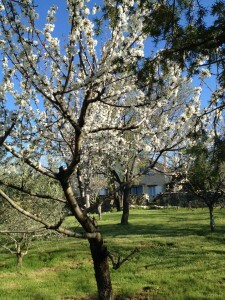 After a couple of weeks of increasingly warm weather the cherry trees have decided that the danger of frost has passed. Let’s hope they are right! This entry was posted in Uncategorized on 2013/04/22 by admin.